A pewter bowl with raised rim and stylised building and bridges. With central reserve and inscription. Rebuilding Shakespeare's Globe was the idea of actor and director Sam Wannamaker. The theatre was completed in 1997, and Her Majesty The Queen was asked to open it. 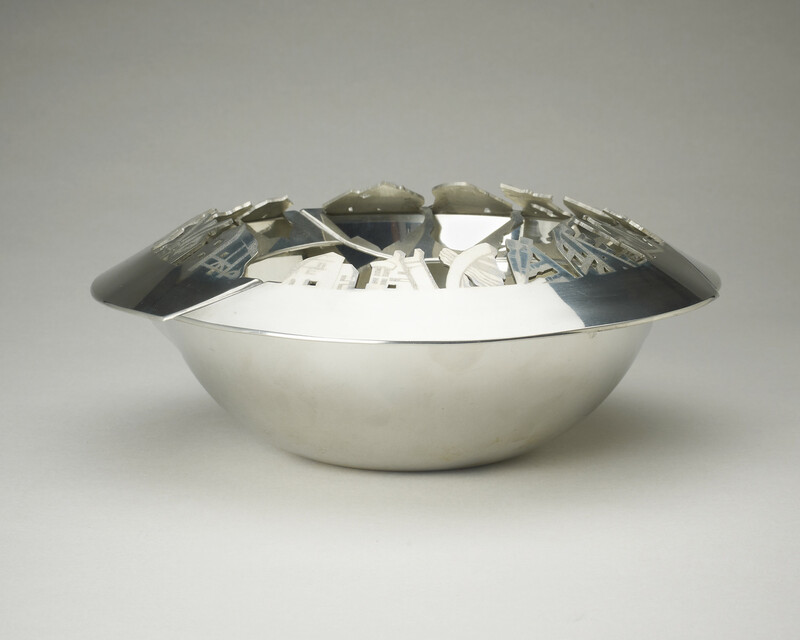 This pewter bowl decorated with abstract building designs was presented to The Queen at the opening ceremony.